Before we get started, in the interest of full disclosure - Bella Watt have been long-time friends of Stark. We've cavorted with them at parties and their old drummer once knocked over our Christmas tree and passed out on our floor. Yet, our friendship does not take away from the epic scope and detail found within their second release, The Mirror Test. The band will celebrate the record with a party and show at Ace of Clubs tomorrow night. Lead vocalist/guitarist Itai Sol and producer/guitarist Aaron Argon have carefully crafted each track on The Mirror Test with additional arranging and writing from bassist Jeff Arancherry. Layering arpeggiated guitars on top of progressive bass lines and compact drum patterns, Bella Watt have crafted a record dense with detail and substance. It takes more than one listen to grasp the shifting time signatures and subtly-synthesized electronic touches. Yet, these factors are what make Bella Watt unique and worth putting in the effort for. 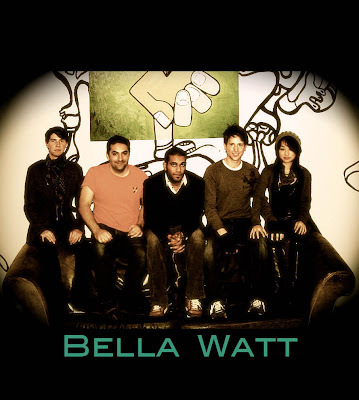 One of the more intriguing elements of Bella Watt is the shared vocal duties of Sol and Connie Ha. While Sol is responsible for the lyrics and handles the lion's share of vocal duties, Ha adds distinct harmonic-flourishes that fill in the sound and add further texture to the group's dynamic. Ha's vocal abilities are clear; Bella Watt uses them tastefully and rarely let her fly into the stratosphere - even though she easily could. Highlights include Ha's lead vocal lines on standout tracks "Resting Potential" and "Grand Inquisitor." The Mirror Test is not a light cheery affair. It's dark and rich with detail and texture. 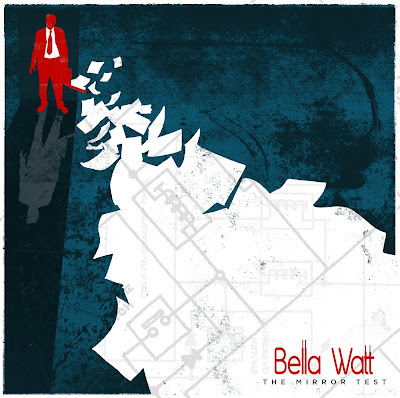 While at times recalling Radiohead, Bella Watt do well to forge their own sound -- employing shoegazey guitars, intricate-rhythmic patterns and flashes of hope in lyrics thick with imagery and emotion. The Mirror Test is a strong second effort from a band that works hard on their craft and their product. It's clear that they will only give you their best and in a market full of half-hearted releases, that's everything a consumer could ask for.